One of the final major tournament series of the year is now in the books, and what a week of poker it was at the PokerStars European Poker Tour (EPT) Prague. In addition to a massive Main Event that attracted 864 entrants, including some of poker’s biggest names and brightest young stars, the EPT Prague series saw some major fireworks over the final days thanks to a Player of the Year battle between Party Poker’s Marvin Rettenmaier and the current POY leader Dan Smith. At the same time Ramzi Jelassi was wrapping-up the biggest win of his poker career in the Main Event (where he would earn one of the few $1 million first-place prizes handed out over the year) Marvin Rettenamier discovered that he could overtake Dan Smith in the Bluff Magazine Player of the Year race by winning the event –not to mention adding nearly $500k to his bankroll—after defeating the 113 player field, and a final table that included Jason Mercier, Fabian Quoss, Juha Helppi and Sorel Mizzi. 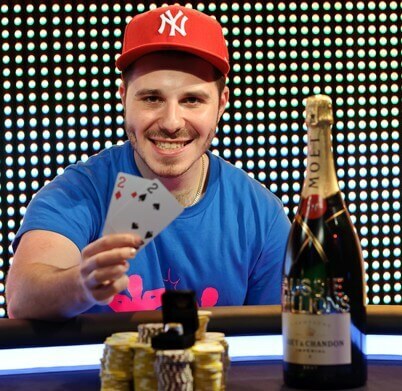 Rettenmaier did go on to win the event and overtake Smith, and seemingly out of pure spite Dan Smith decided to enter a €5,000 NLHE event and win it just hours later! The €5k side-event win didn’t produce enough POY points (it had just 42 entrants) for Smith to retake the lead from Rettenmaier, but a $90,000 prize should ease the pain. Smith did defeat a pretty stacked final table in the process, including ElkY, Dan Kelly, and Bryn Kenny, but apparently the POY awards don’t give extra points for beating big names. The POY races –which looked to be a lock for Smith just a couple months ago—have suddenly turned into a dog-race in December, and if everything holds it will be Dan Smith claiming the Global Poker Index award, Rettenmaier winning Bluff’s, and WSOP Champion Greg Merson claiming the Cardplayer prize.